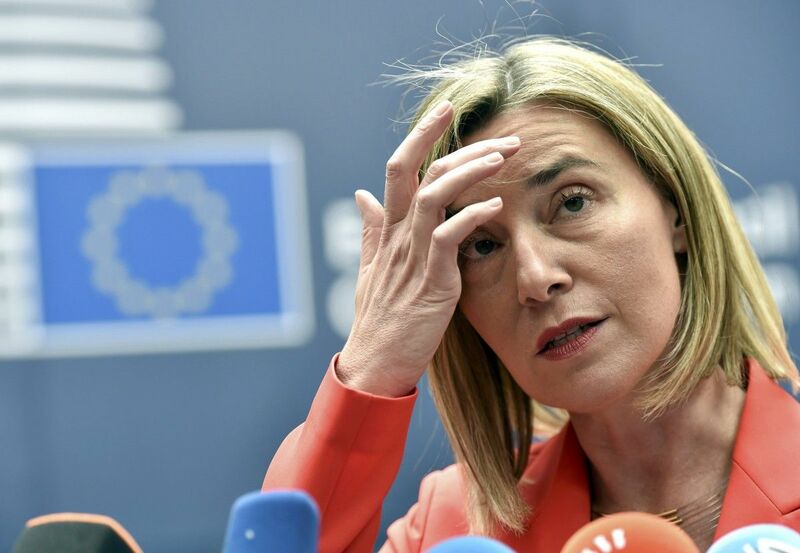 High Representative of the European Union for Foreign Affairs and Security Policy Federica Mogherini has confirmed the unwavering position of the European Union on non-recognition of the annexation of Crimea by the Russian Federation. "I spoke this afternoon with the Ukrainian Minister of Foreign Affairs, Pavlo Klimkin, about the escalation in tensions between Ukraine and the Russian Federation. The European Union condemns and does not recognize the illegal annexation of Crimea and Sevastopol by the Russian Federation. We continue to be unwavering in our support of the territorial integrity and sovereignty of Ukraine," she said in a statement. Read alsoBiden: Crimean provocation totally Russia's responsibility"Any actions that could lead to a further escalation of the conflict must be avoided by all sides; a peaceful resolution of the conflict is the only possible solution. This includes eastern Ukraine, where we urge all parties to fully engage in the complete implementation of the Minsk agreements." She also said that the European Union and its member states would continuously assess the situation, including at the level of the Political and Security Committee meeting next Wednesday.